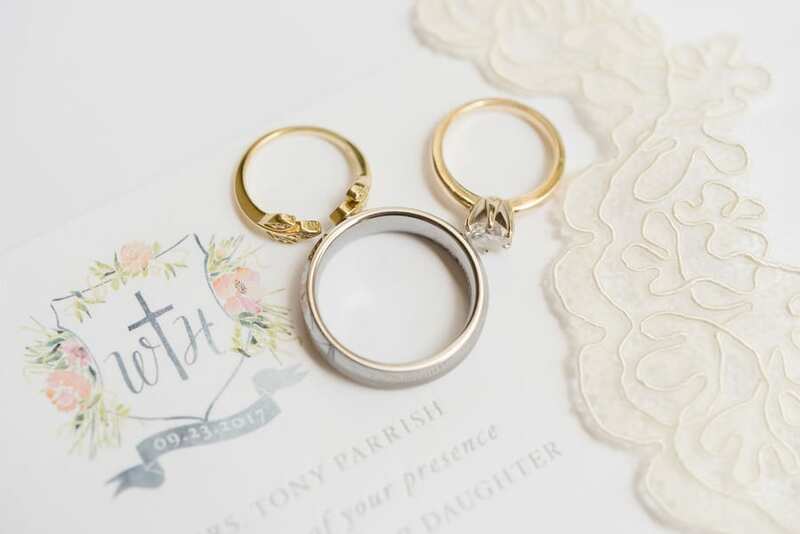 Planning a wedding is hard enough, but when you’ve just graduated college and have an internship on your hands, it becomes intimidating. 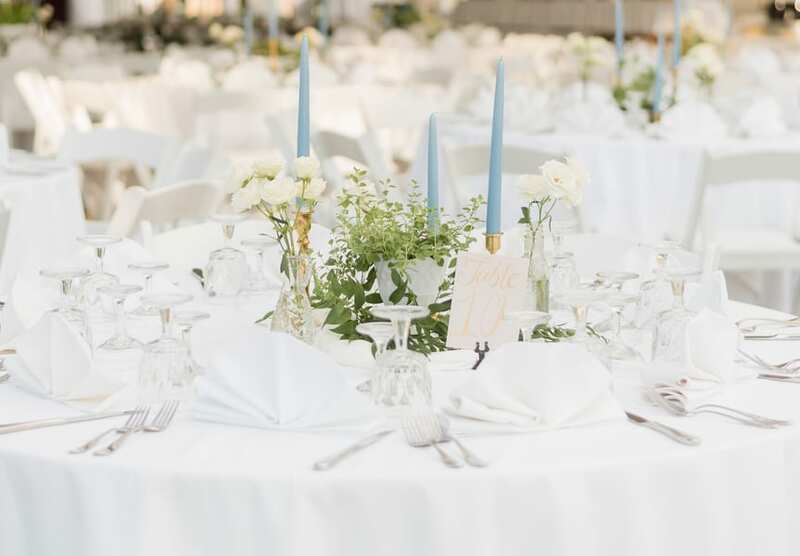 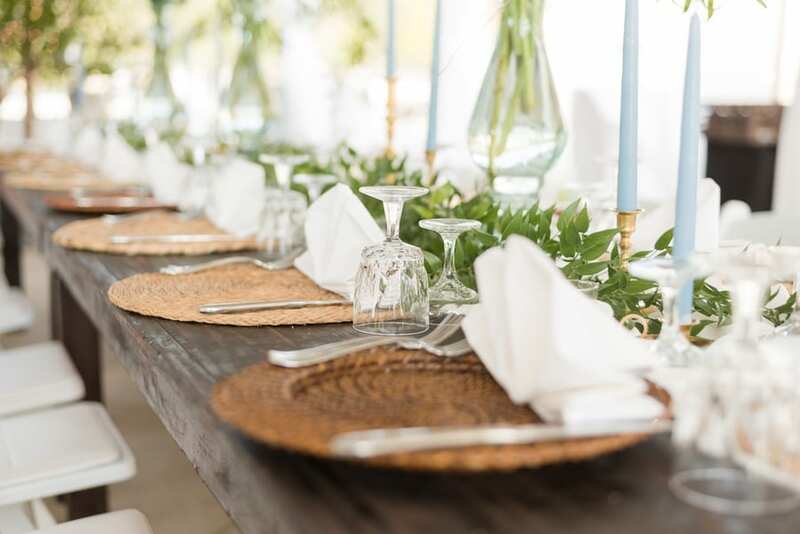 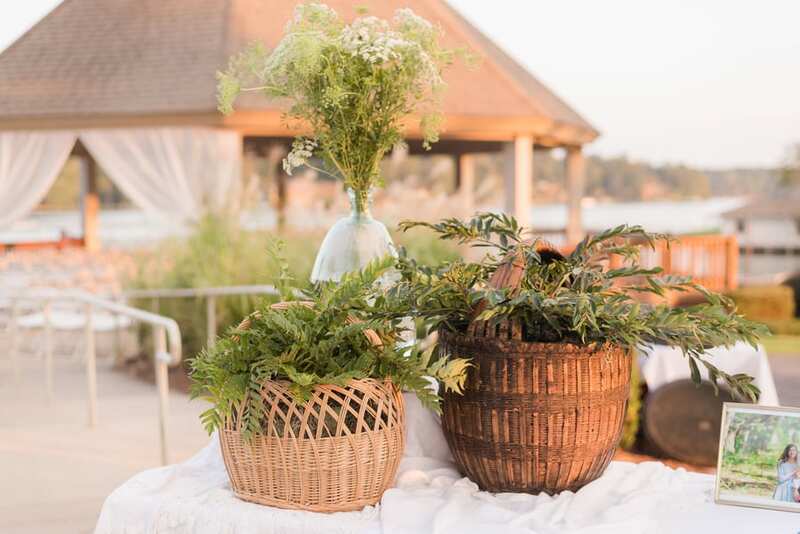 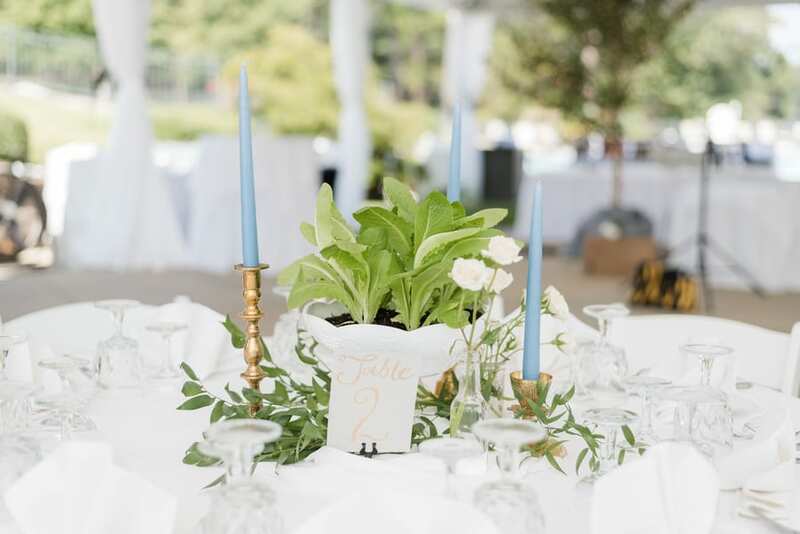 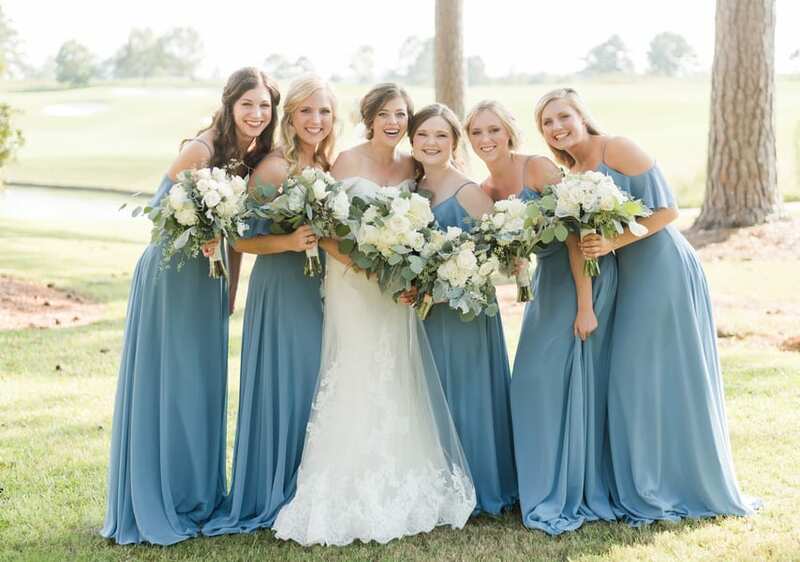 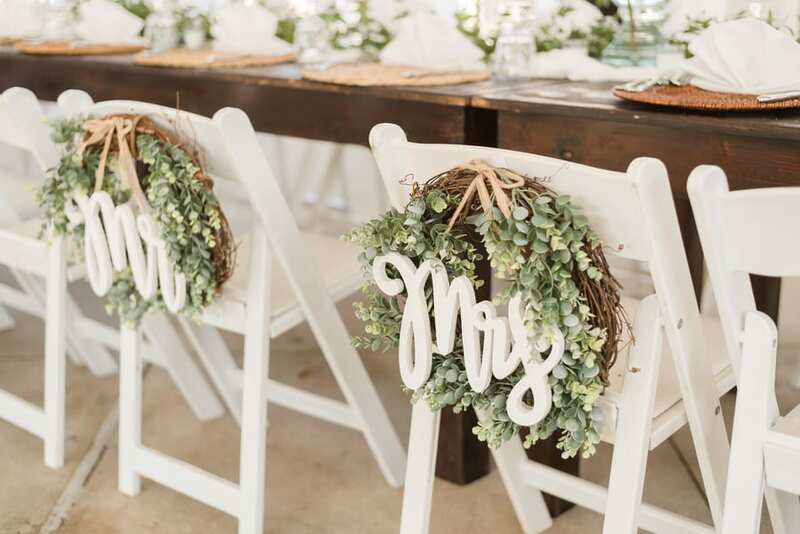 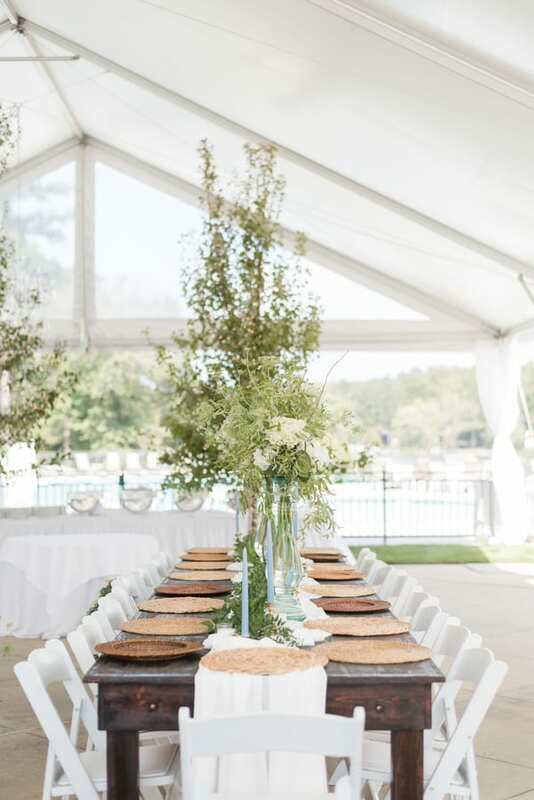 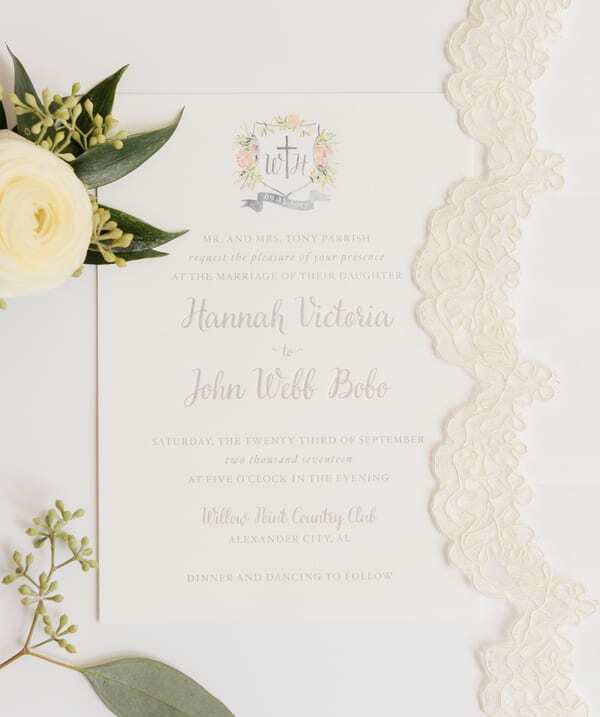 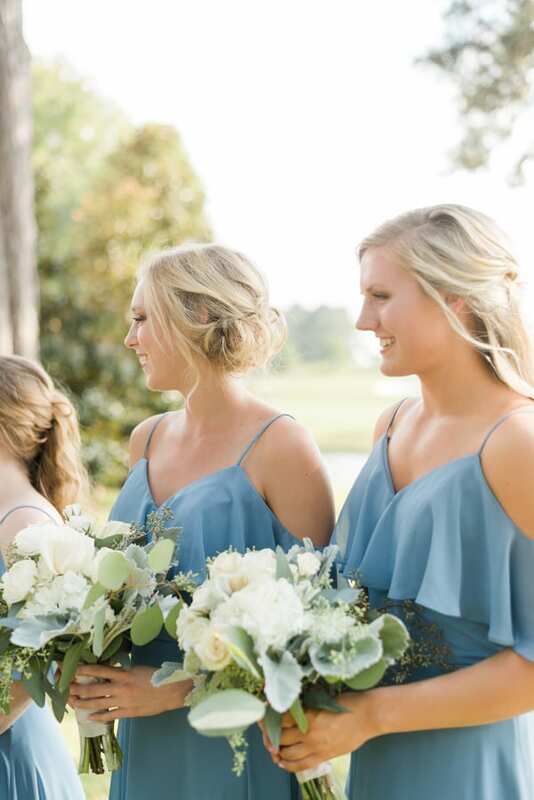 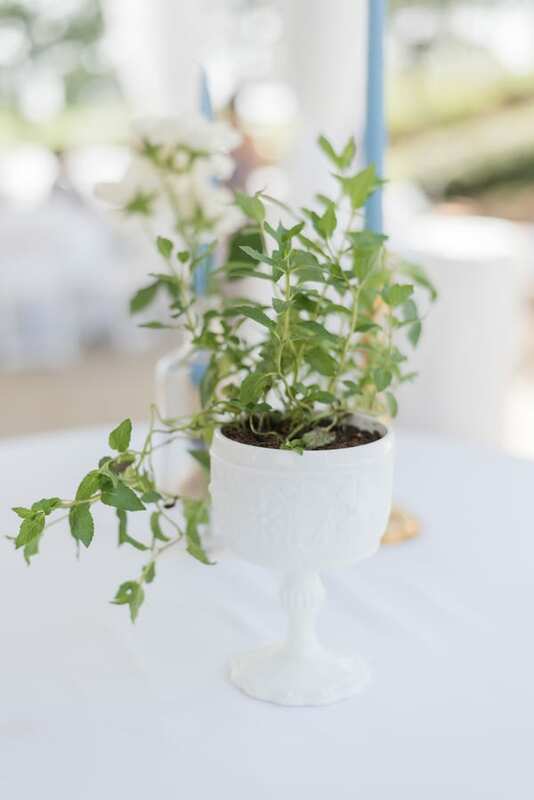 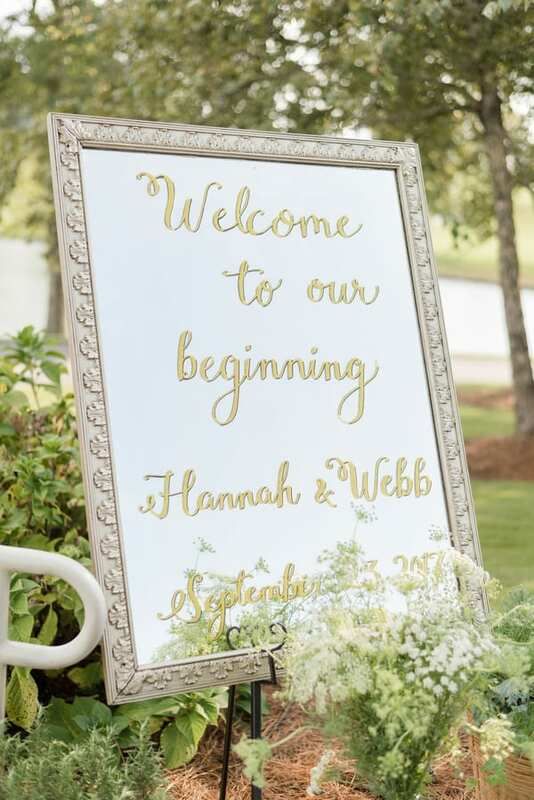 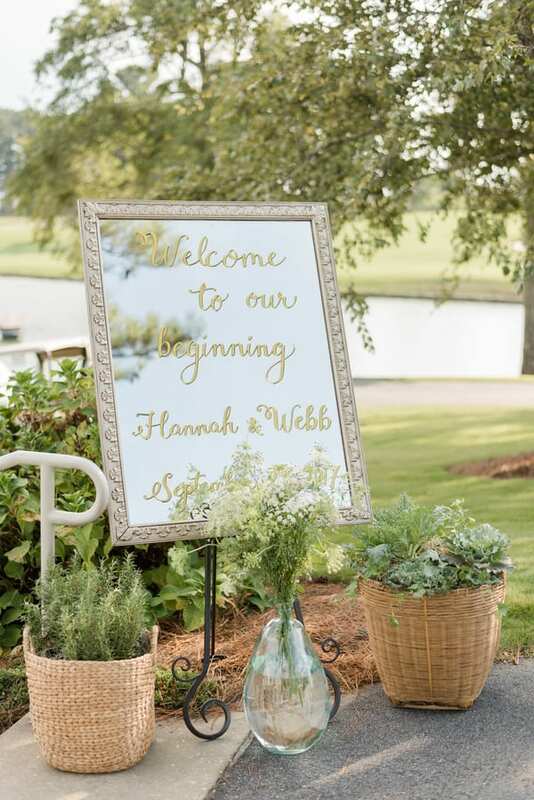 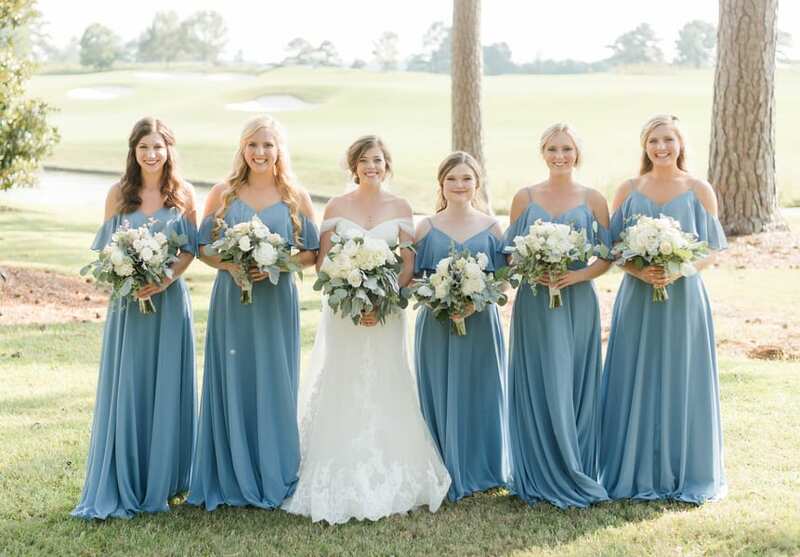 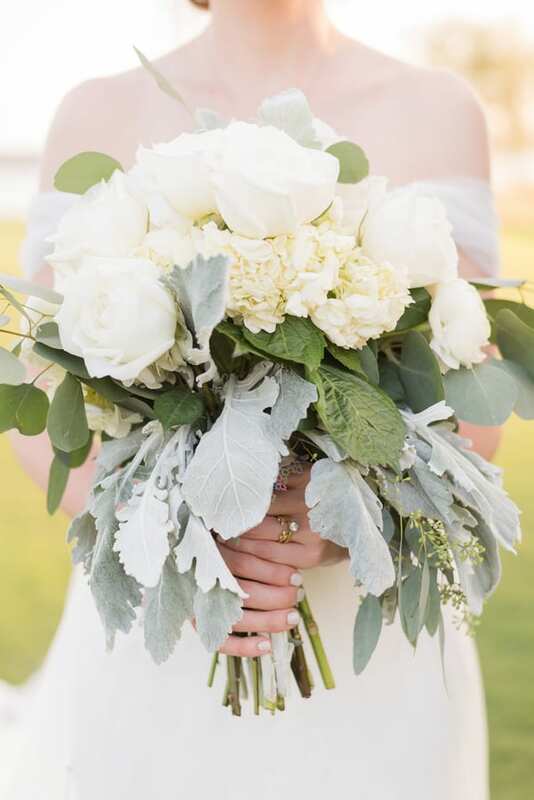 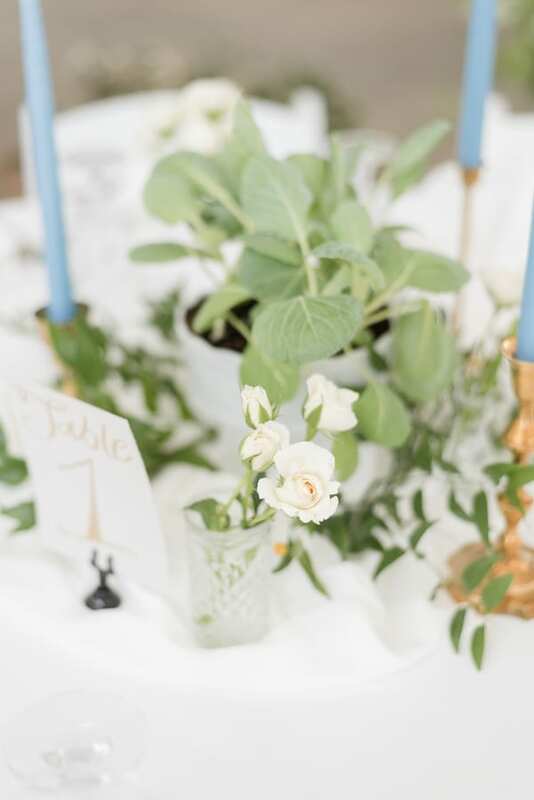 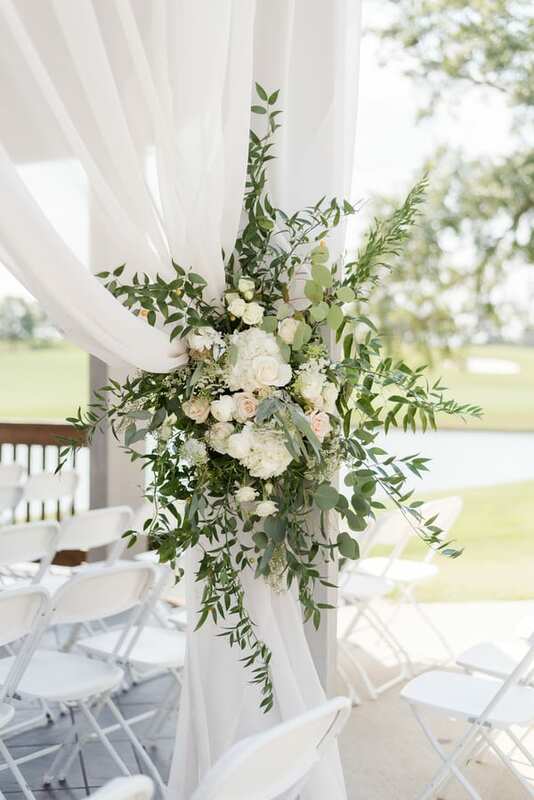 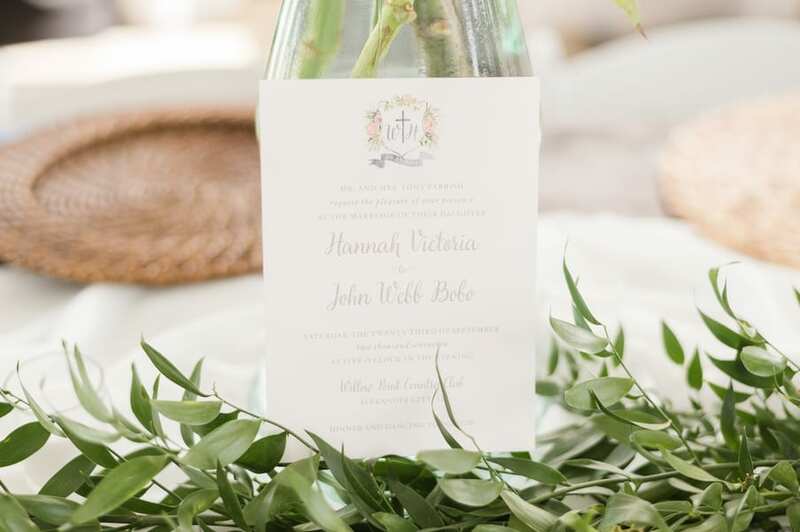 Luckily for Hannah and Webb, Webb’s mother in law Anna, took things into her own hands, The country themed wedding featured a ceremony overlooking Lake Martin, with a reception at Willow Point Country Club just as the sun set. 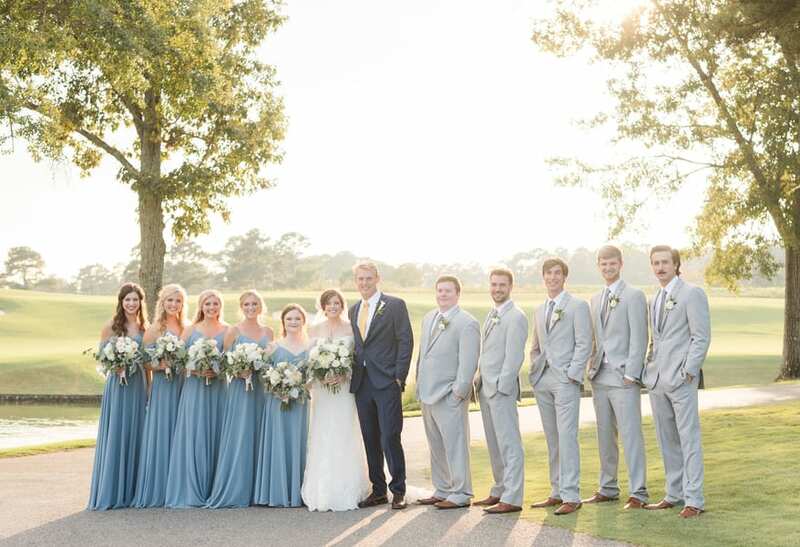 Dusty blue bridesmaid ruffle front bridesmaid gowns and loose bohemian curls paired well with the fitted, light gray afternoon suits of the groomsmen. 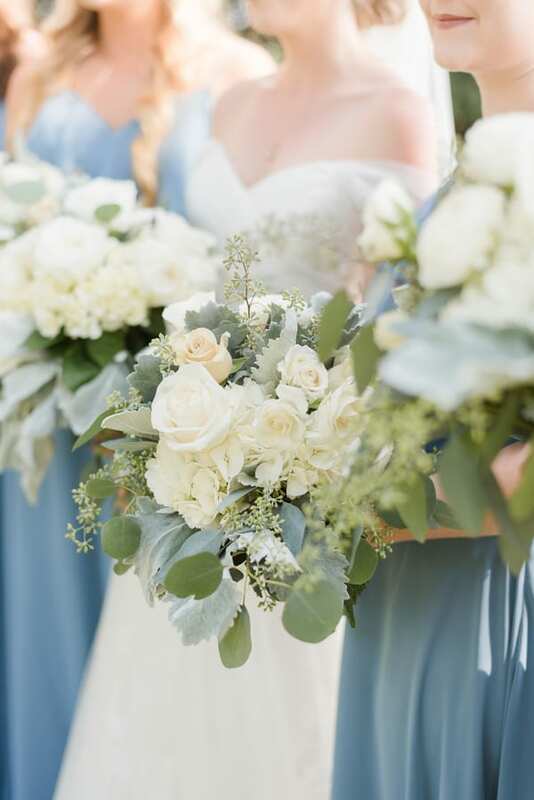 Bride Hannah exuded grace and pure joy with an off-the-shoulder ivory gown with soft ruching across the bodice and a delicately embroidered skirt. 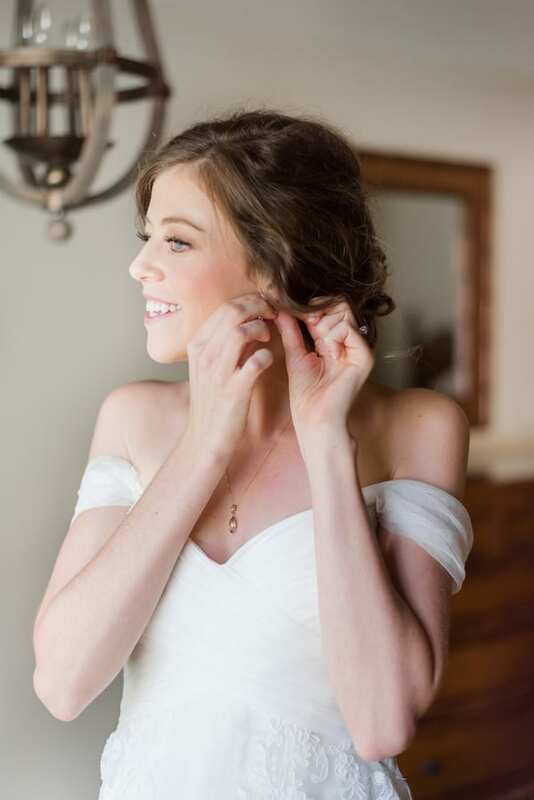 A softly curled updo and rosy makeup let her beauty shine as she exchanged personal vows with Webb. 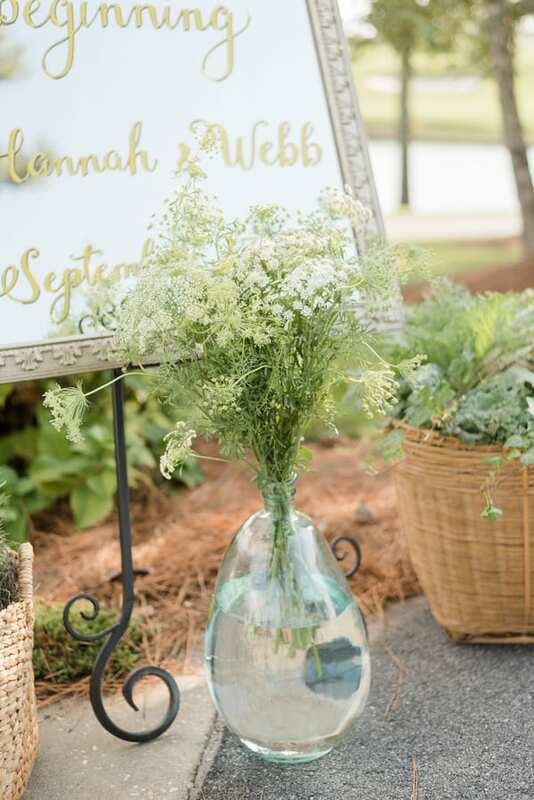 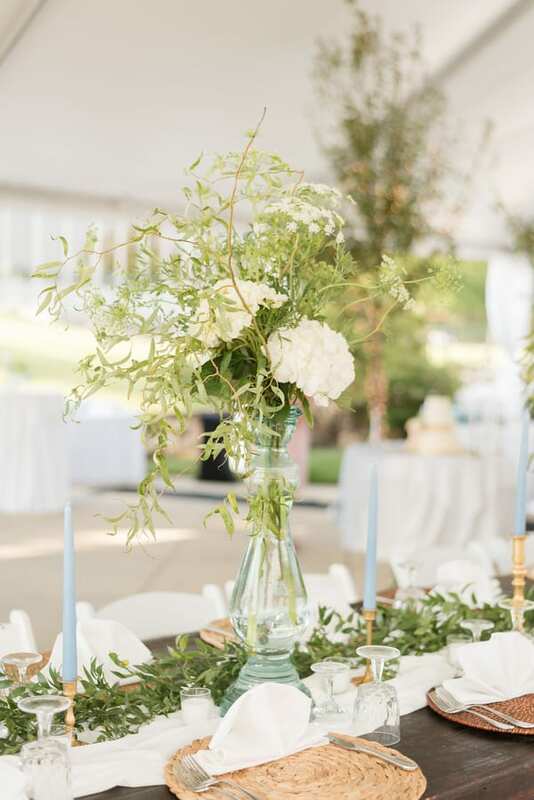 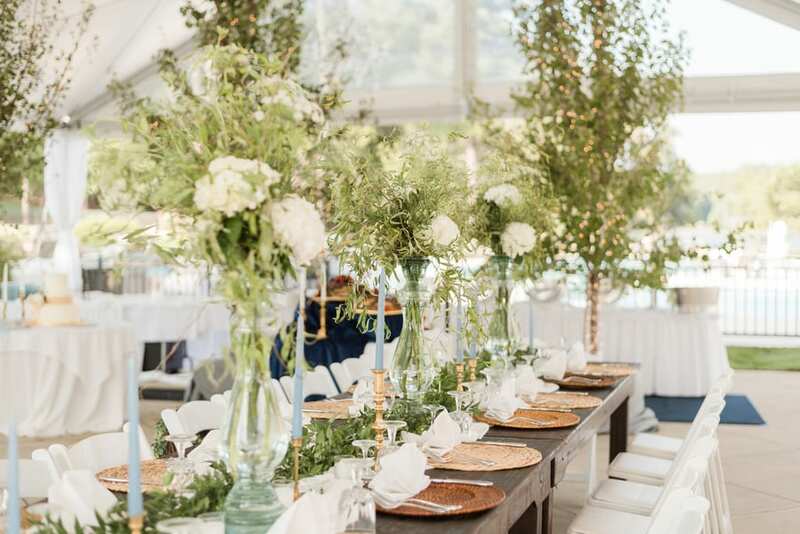 Arrangements of wildflowers and Queen Anne’s lace with plenty of greenery accentuated the natural beauty of large glass windows that let in plenty of sunshine into the reception. 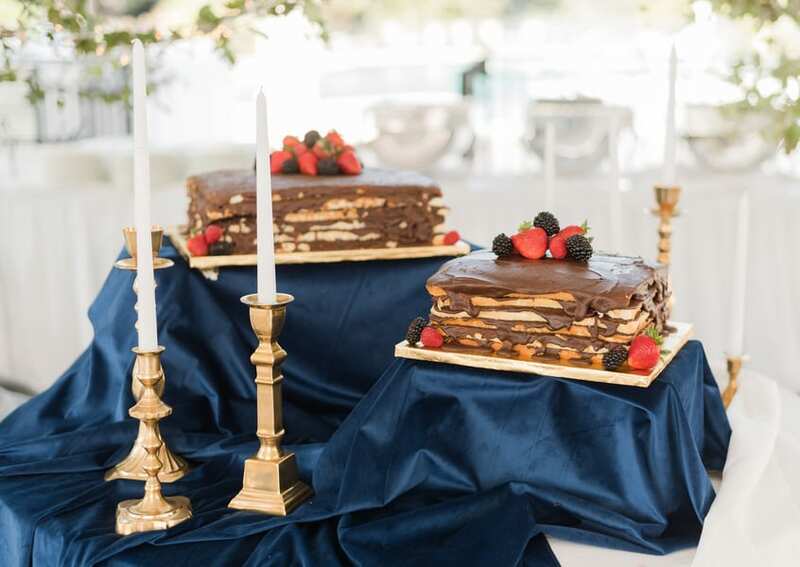 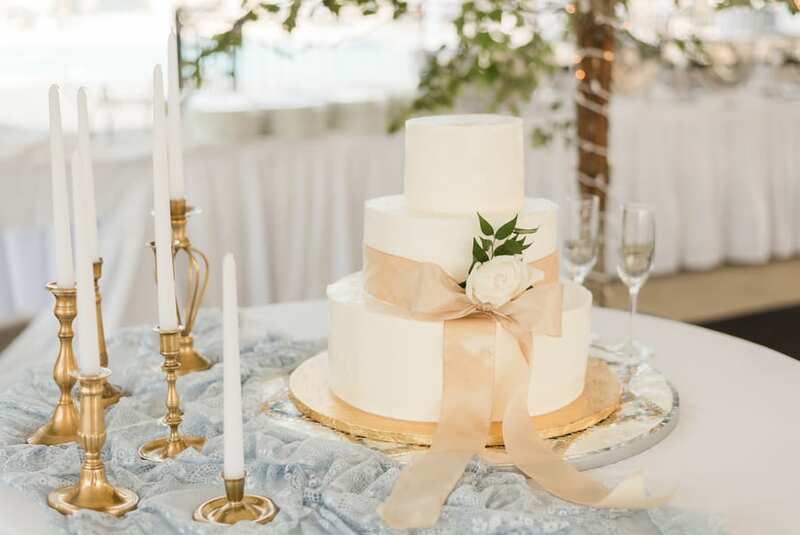 A sweetheart table and tiered white and gold buttercream cake were also sweet touches. 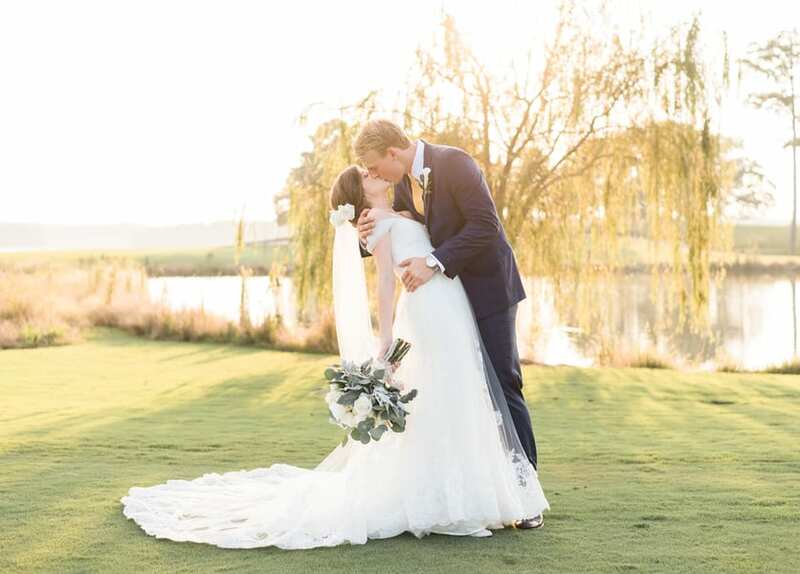 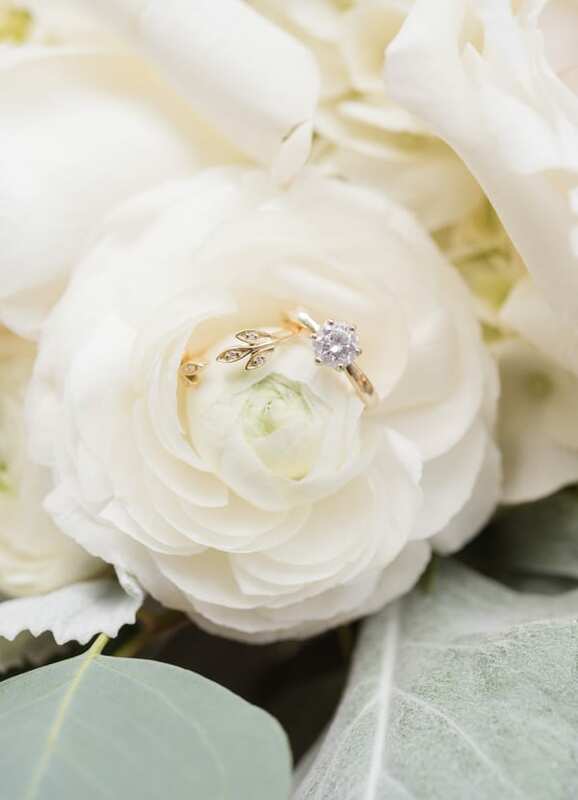 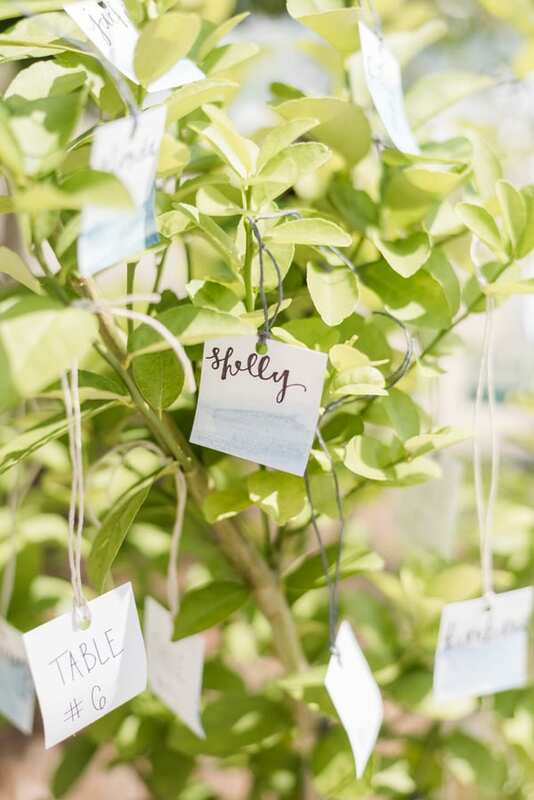 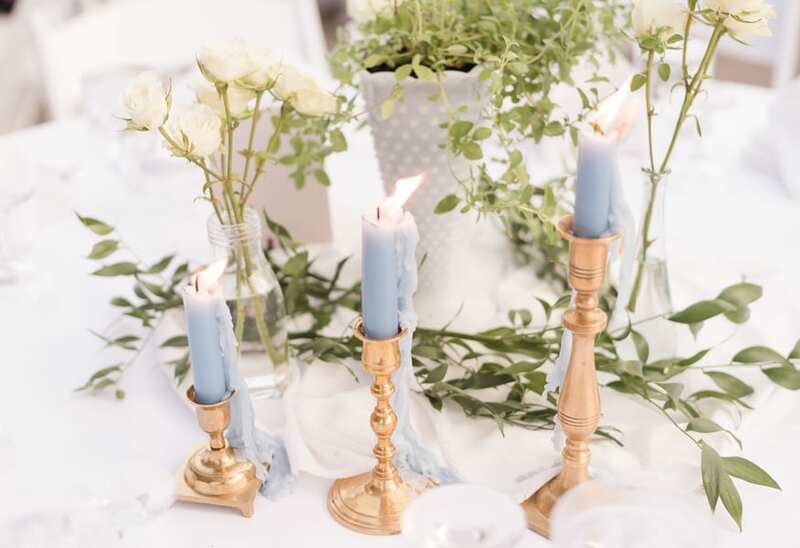 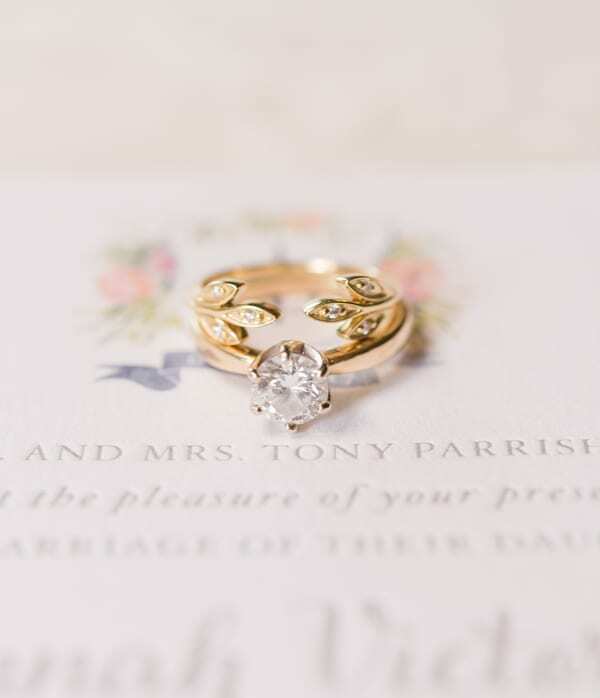 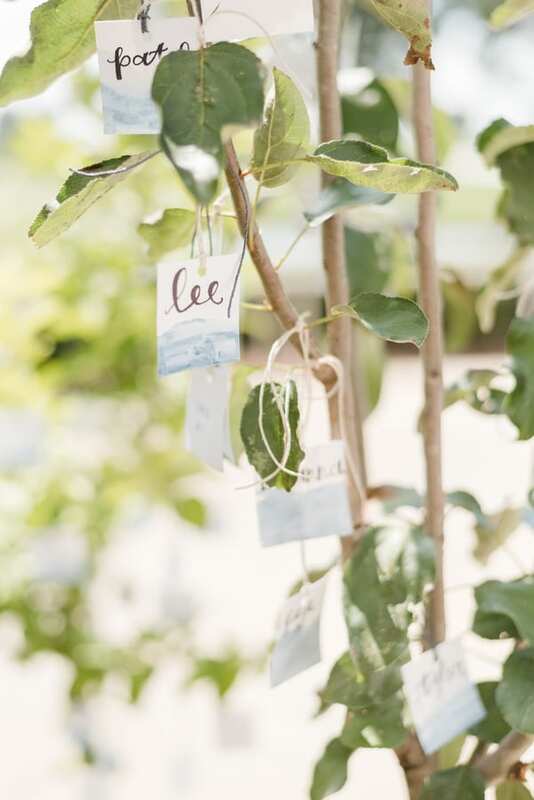 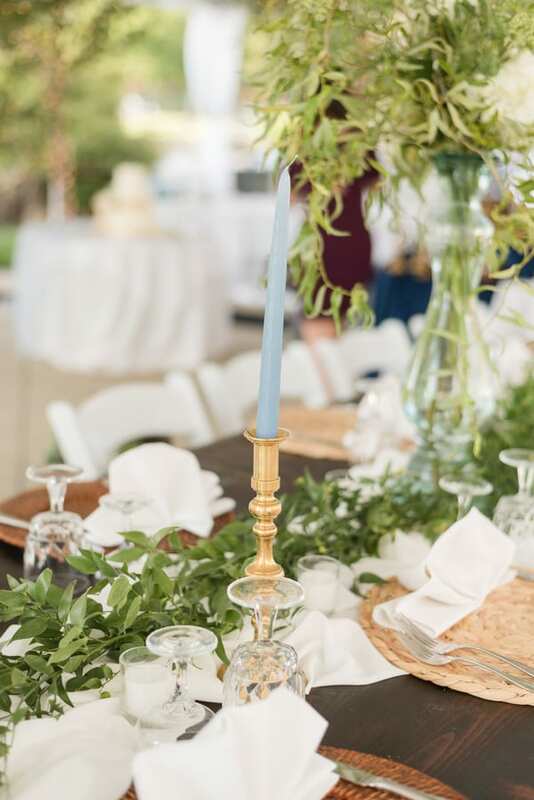 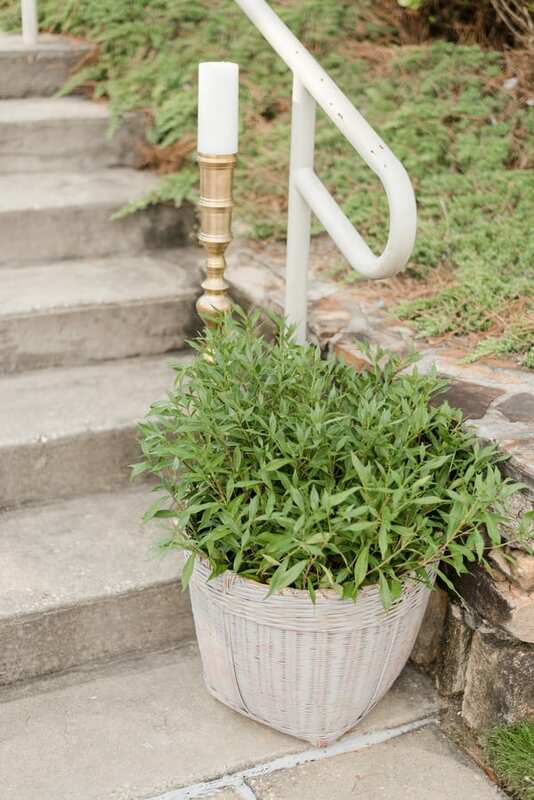 This lovely wedding was captured by Alex & Dylan Photography..